Leaving your home behind for a vacation can be stressful, even with a smart home. Did you think of everything? Passports, luggage, camera, kids… Your checklist can feel ever-growing while preparing for your stay abroad. However, nobody wants to tick off a checklist as long as your arm. The appeal of your smart home is, in part, the automated management that happens when you’re not there. Your smart home can perform just as well over multiple days or even weeks away, with the right guidance from you. Here are some tips so you can hit the road for the holidays with some peace of mind. 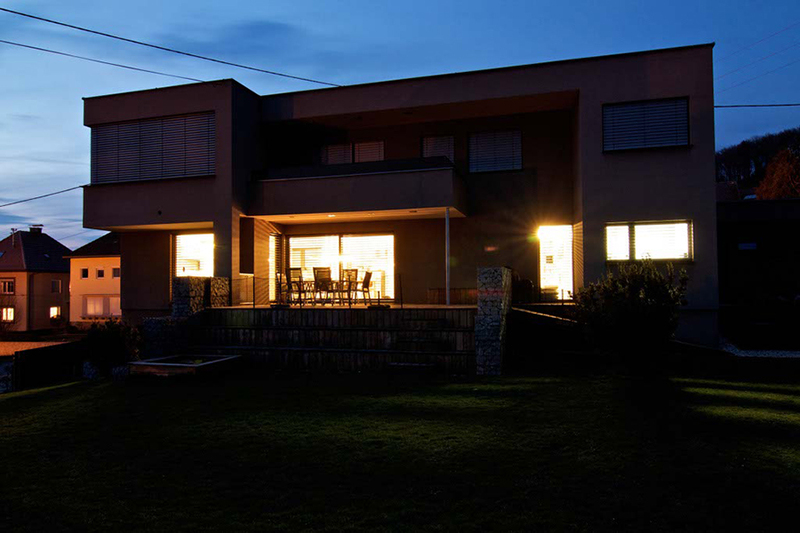 Homeowners often leave lights and/or the TV on when they’re away. This makes a lot of sense. Having your lights and TV set to mimic human activity is a good start. But, of course, you don’t want to come home from vacation to a huge energy bill. If you want your devices to simulate your presence, without having them turned on for days on end, Homey Flows are a great way to regulate their schedules. If you have numerous devices paired to Homey, consider creating a schedule based on what you’d typically do while home. Turn on your television in the evening, close the curtains at night, outdoor lights should be on at night and off during the day, while indoor lights should go on and off in different rooms. Read more about presence simulations. Several smart home security devices, such as motion sensors or door/window sensors, are a great way of keeping track of your home. While they immediately do a lot of work for you fresh out of the box, it’s important to give them a quick status check before you leave. Regardless of product or brand, it’s a good idea to make sure your devices have enough battery power left and notifications correctly enabled to reach the right emergency contacts. The Homey Smartphone App shows you how much battery life there’s left in the device card. That way you can see whether you need to change the batteries on your battery-powered devices in one glance. Everything still in place? Good. You can set automated alarms at your home when the contact sensor at your backdoor gets triggered. Sound an alarm with the Homey Soundboard App, flash your lights and send a push notification to your phone. That way you can alert your neighbours or relatives something’s happening at your home. All while sitting next to a swimming pool in your trunks sipping on a cocktail. Flood sensors, smoke and carbon monoxide detectors always offer peace of mind. Even more so when you’re out of town. Making sure they all have enough battery power left and correct notification settings is worth a few minutes of your time before boarding the plane. 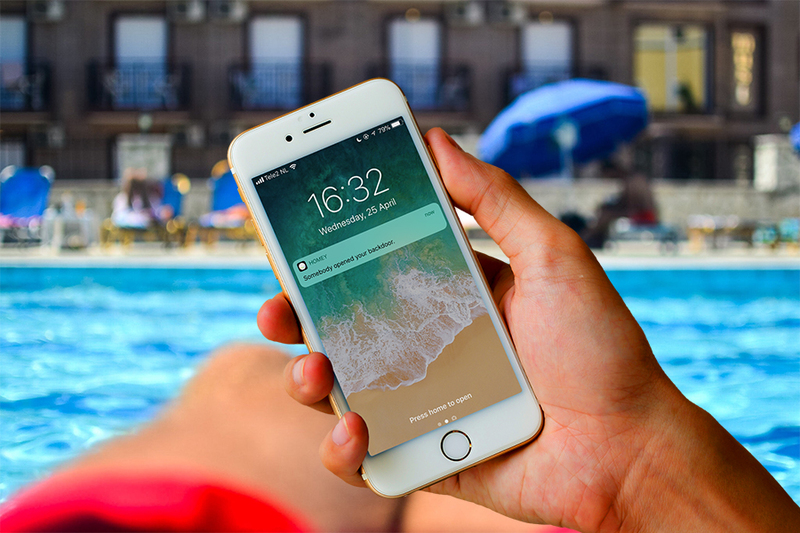 Like with the aforementioned alarm with your maintenance sensors, make sure your flood and smoke sensors send notifications to the right mobile device. That way you can quickly act upon any suspicious alert. You could even invite friends and family to your Homey, so that they can receive notifications if something happens. That way you can be sure your home is taken care of, and you can enjoy a carefree holiday. If you have your robot vacuum cleaner on a smart schedule, you might want to turn it off while you’re away. If no one’s home to make a mess, the vacuum doesn’t need to run. Plus, if you have motion detectors integrated in your security system, a robot vacuum could trigger false alarms. You’ll save battery life and wear and tear on your vacuum by making sure it isn’t running when it doesn’t need to. The same goes for other small appliances that might run on a smart schedule. Run through your list of managed devices to be sure everything is on or off accordingly. Everyone does it: Ask a neighbour to look after their homes. Whether it’s watering the plants when you’re leaving for a vacation, check the mailbox, keep an eye out. Expecting someone to take care of your home? 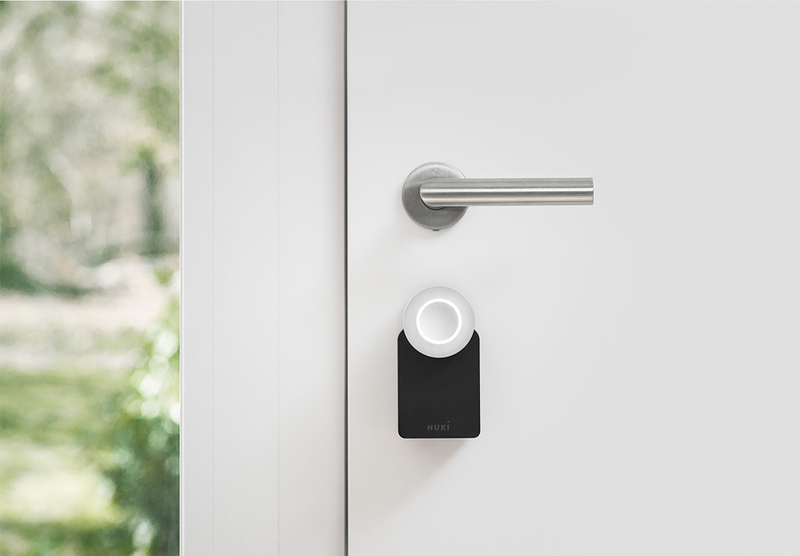 Grant them access to your smart lock for an extended period of time. That way you control who comes and goes into your home. Now, all that is left for you is to enjoy your vacation to the fullest! If you take care of that, you can trust Homey with taking care of your home while you’re away. Have additional tips and tricks to secure your home for the holidays? Let us know in a facebook comment.